It’s elegant, it’s powerful and it’s on sale. 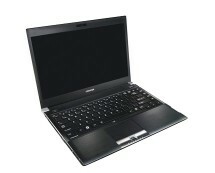 Buy the super-stylish Toshiba Satellite C855-18D laptop from amazon.co.uk now for only £429.99 and you also get free delivery. Driven by a third-generation Intel® Core™ i5 processor, this laptop is ready to take on everything, from the most basic tasks such as checking your e-mail or browsing the web up to the most demanding tasks such as video encoding or rendering. Work, games or entertainment – it can do it all. Nothing really betrays what the Toshiba Satellite C855-18D laptop can really do, as its design seems pretty common at first sight. Once you take a closer look at the details, though, interesting things start to show up. The attention paid to details such as the crossline pattern on the lid or the textured palm-rest will immediately let you know that you’re dealing with a top-class product here. The design is just a distraction, as the really interesting details only come up when you turn it on. 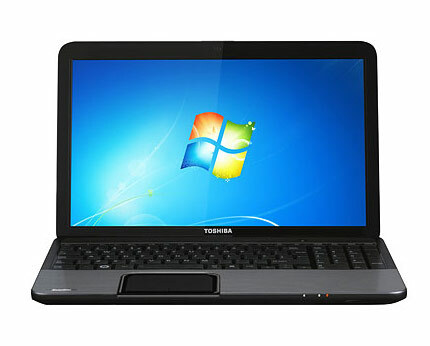 The Toshiba C855-18D is powered by an Intel® Core™ i5-3210M processor, part of the Ivy Bridge family of processors, which deliver a tremendous amount of processing power. Even the most power-hungry applications run smoothly on this laptop so moving from a laptop to a desktop PC for the heavy-duty tasks just became a thing of the past. 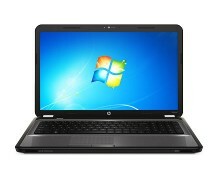 The 6 GB of RAM are enough to let you open all the programs you need without clogging up the system. In terms of storage space, the Toshiba Satellite C855-18D is ahead of most laptops with its 640 GB hard drive, considerably larger than the 160, 250, 320 or 500 GB hard drives found in other laptops. We’re not saying it’s the biggest hard drive, because it’s not, but it should be big enough for the needs of a normal user – you can store plenty of files, music, movies or games on it. Speaking of games, even though the Toshiba C855-18D is not a gaming laptop, it does suit the needs of a casual gamer; thanks to the Intel® HD 4000 graphics chip in the processor, the laptop deals admirably well even with the latest games. The Intel® HD 4000 chip proves out to be quite powerful, outranking entry-level and even mid-level discrete graphic cards, thus destroying the myth that integrated graphic cards are not meant for gaming. 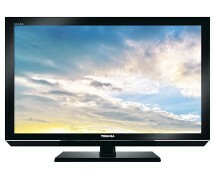 Moving on to the multimedia segment, the Toshiba C855-18D does not disappoint here either. The 15.6” TruBrite HD screen is LED-lit, which translates into a clear image and low power consumption, and the integrated speakers are fitted with the SRS Premium Sound HD technology to deliver the best possible audio experience. 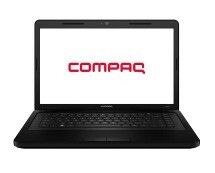 The Toshiba Satellite C855-18D is clearly a winner in terms of usability. The integrated webcam comes with face recognition ability, providing an easy and secure log in method while the multi-touch capable touchpad provides advanced zooming, rotating or scrolling functionalities. Among other notable features of the Toshiba C855-18D are the integrated Bluetooth 4.0 module, the integrated HDMI port and the USB 3.0 port.